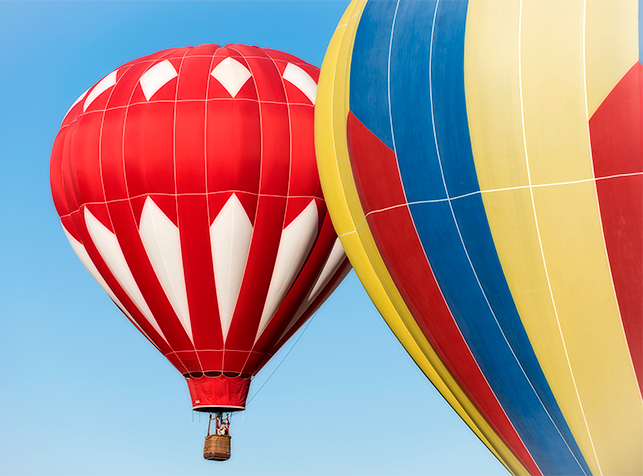 ACGPSY Blog | Wanderings of the Air Conditioned Gypsy. Our first jeep ride in Moab is always the Potash Road to Schafer Trail into Canyonlands National Park. It helps to adjust my eye and mind to the amazing colors and textures in Moab. The Colorado River edges the beginning of the ride. Here is a view near the landing where the rafters and jet boats put in and take out. 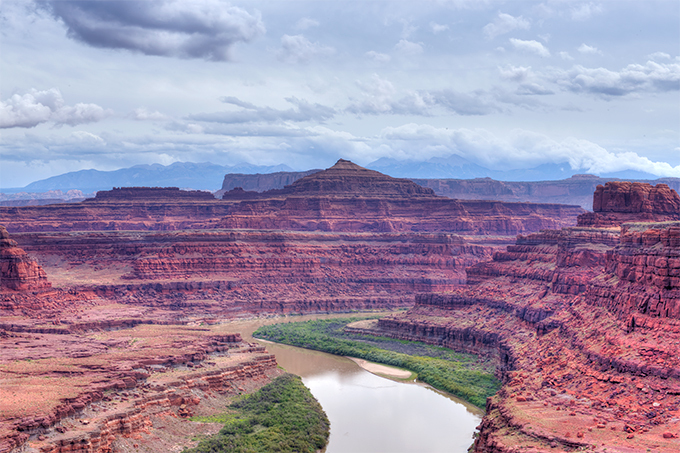 The final scene of the movie Thelma and Louise was filmed near this overlook of the Colorado River as it near Canyonlands National Park. You can see Pyramid Butte and the LaSal Mountains are covered in clouds in the distance. 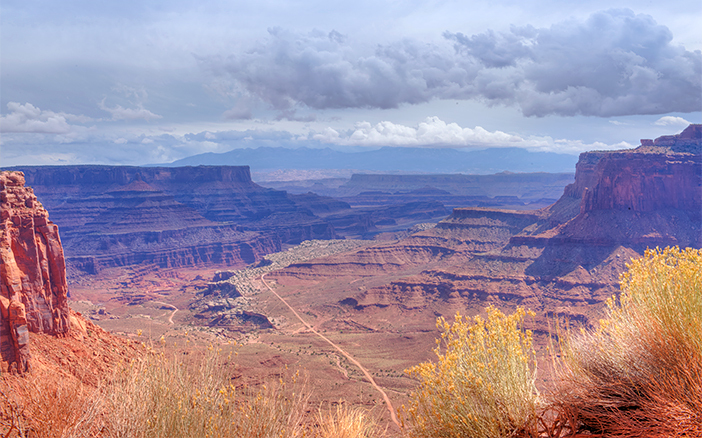 A view from the Schafer Trail into Canyonlands. We missed the rains all around us this day but saw the aftermath near Wall Street on the Potash Road. 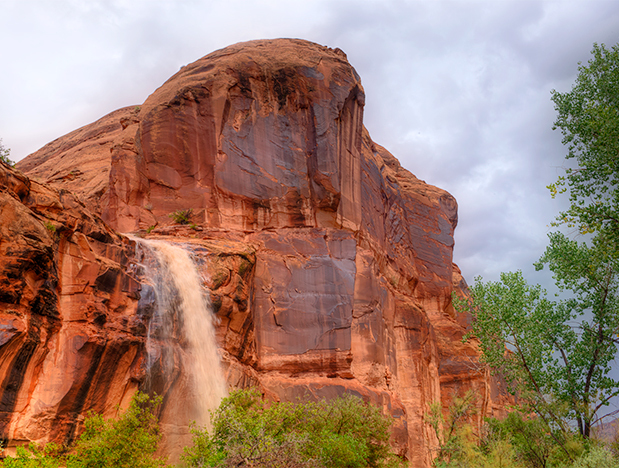 I heard rumors of wild waterfalls gushing down the tall canyon walls. 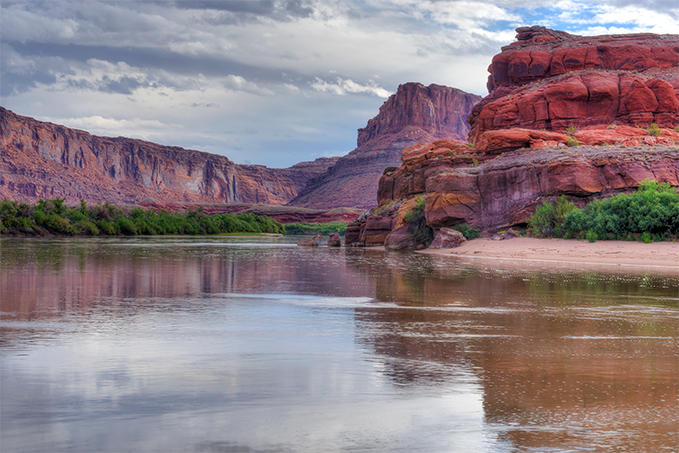 More Moab magic….. 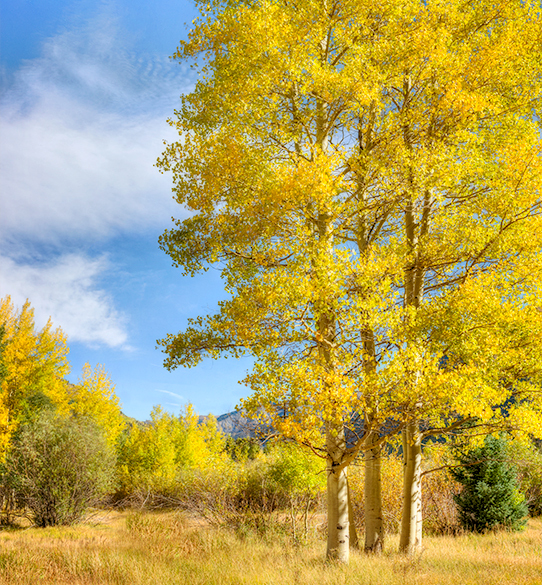 The aspens high in the San Juans are turning gold and we are enjoying the display immensely. The temps have been cool and winds blustering to +30 mph for the last 3 days. 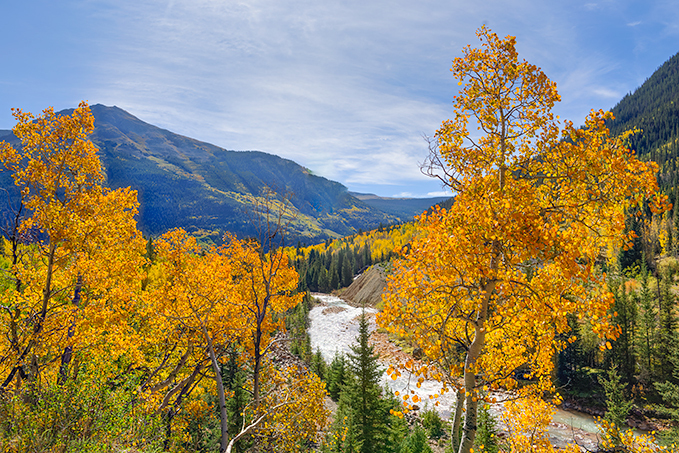 A ride up Ridgway County Rd 7 was disappointing for aspen color but a view of Mt. Sneffels is always a joy. I believe it is the highest peak in San Juan Mountains. The Joker Mine high in the Red Mountains was just starting to show some color and a surprise fresh coating of snow on Red Mountain. 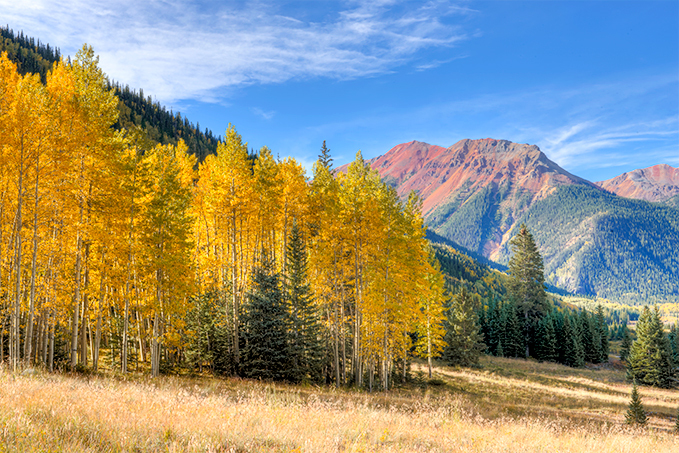 The aspens near Ironton Park and Red Mountain where dazzling in the morning sun. A black tailed deer came out of this aspen grove just as I moved away. Always looking for the classic aspen grove and found this clump near Ironton Park. 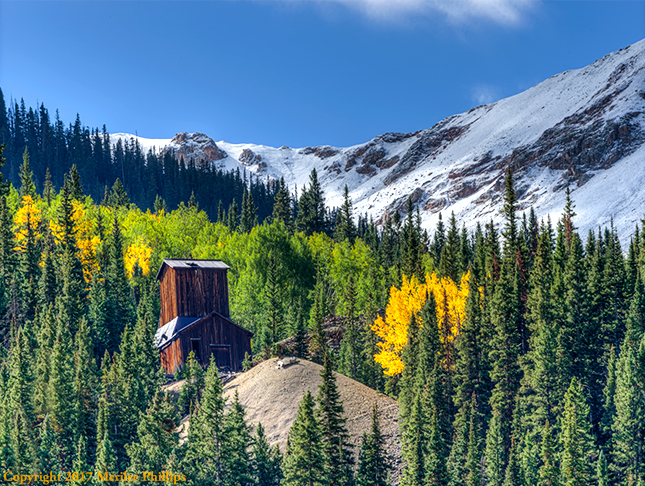 The colors near Silverton where just turning neon in the sunlight. Yes, fall is my favorite season and Colorado has it best. We have been enjoying summer in Montrose, Colorado. There are so many things to see and do. 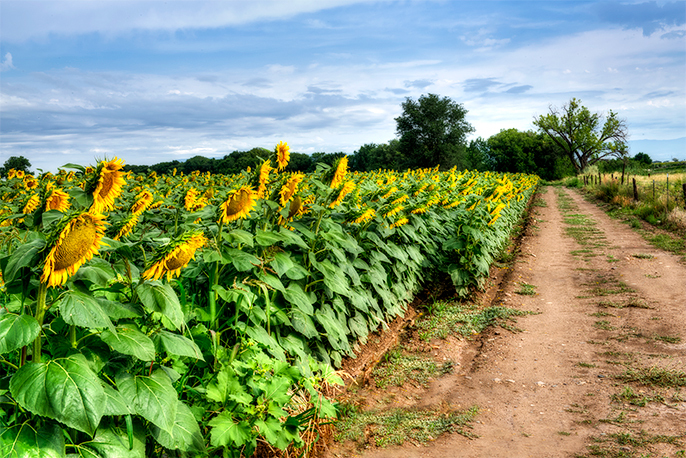 Olathe, CO is an agricultural community famous for it’s amazing sweet corn (which we have eaten our share of) but the sunflower fields were hard to resist. 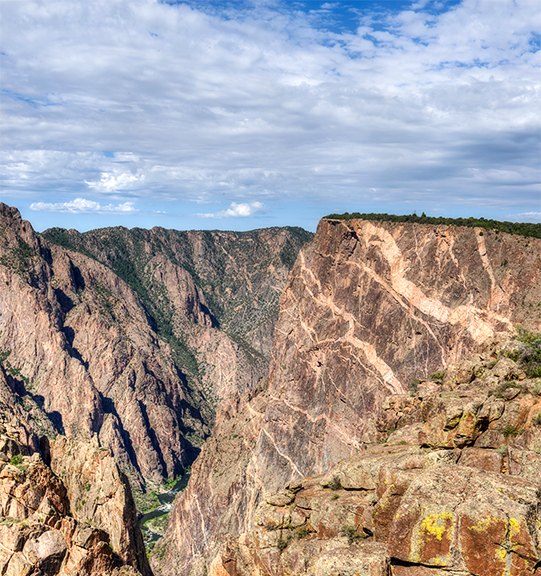 The Black Canyon of the Gunnison National Park is an awesome place to experience. This is a shot of the Painted Wall. If you look closely, you can see the Gunnison River carving it’s way through the canyon. Dropping an average of 95 feet per mile in the national park, the Gunnison River is indeed carving a steep canyon. 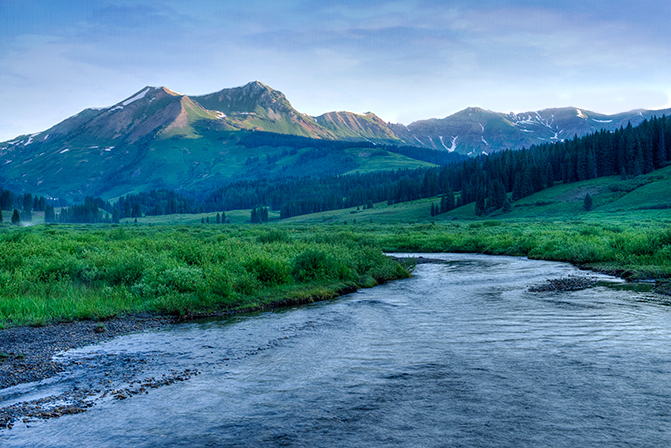 Another of our favorites is Yankee Boy Basin. The jeep ride takes you up over 11,000 feet elevation. The twin falls that run down the basin are an amazing sight. It is famous for it’s fields of wildflowers. A few of the beautiful Indian paintbrushes found along the water. Ridgway, Colorado has the famous Last Dollar Road. It is a wonderful jeep ride that ends near Teluride. Here is the entrance to the large Last Dollar Ranch. 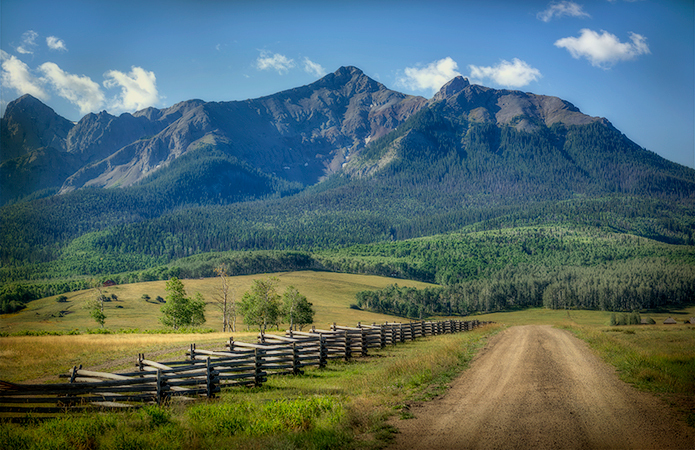 I love to shoot the fence lines here with the San Juan Mountains in the background. 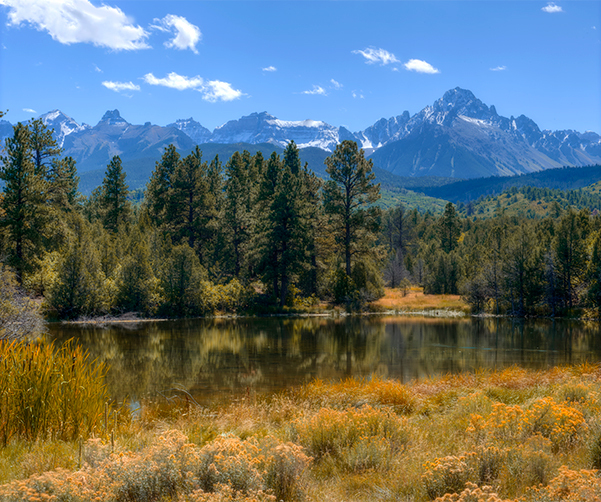 Another famous ranch in Ridgway is the Double RL Ranch (owned by Ralph Lauren). 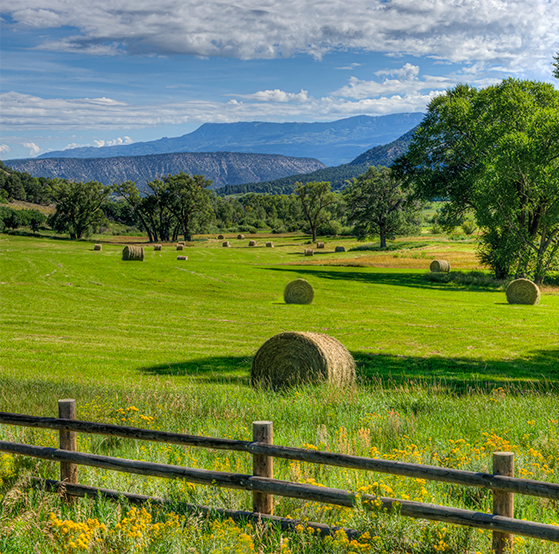 This hay field was shot near the West Dallas Road with the Cimmaron Mountains in the far background. 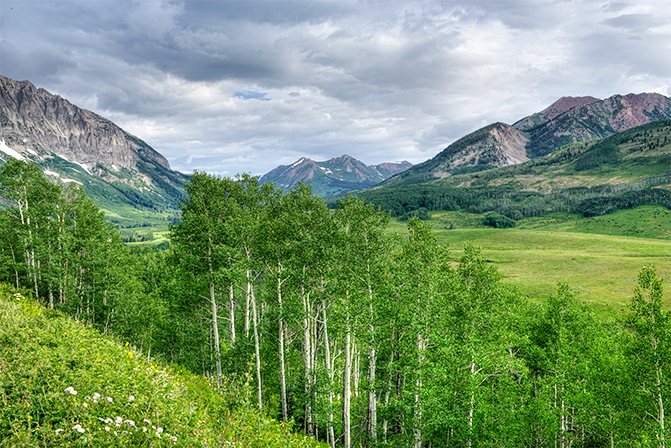 The Crested Butte Wildflower Festival had many energetic offerings of guided hikes, professional photographer field led workshops and many more programs. I had the pleasure of participating in 4 professional photographer led workshops. The “5am sunrise” workshop took us high above Gothic to watch the sun rise over the headwaters of the East River. The “Wildflower Landscape” workshop explored the Gothic Road area with a view up the East River Basin. Perfecting Close-Ups” was a challenging but great learning experience. 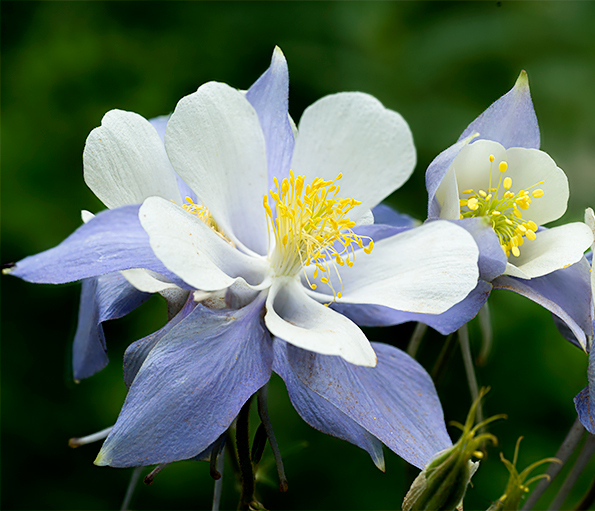 Recently blossomed columbines were my subjects. 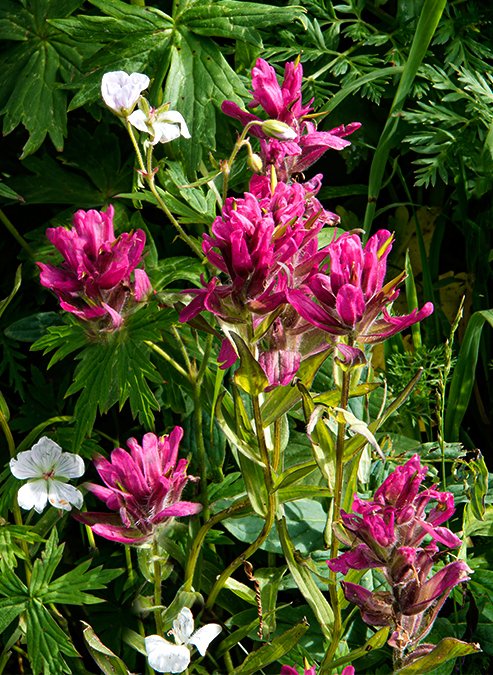 An Evening of Wildflowers began with a heavy thunderstorm passing over the mountain. 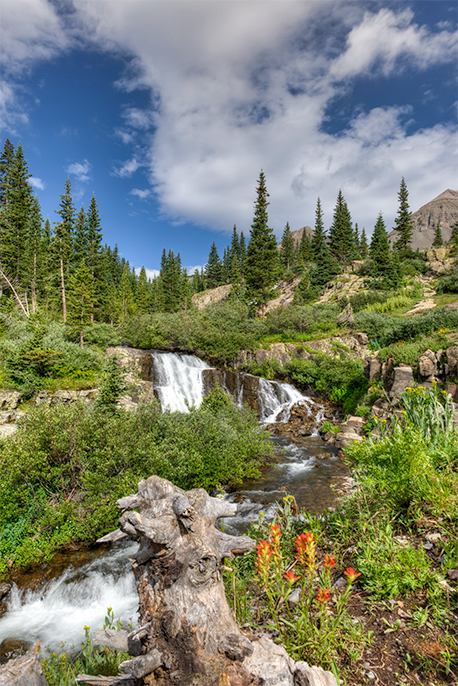 The skies did clear enough for the group to explore the Keebler Pass area. 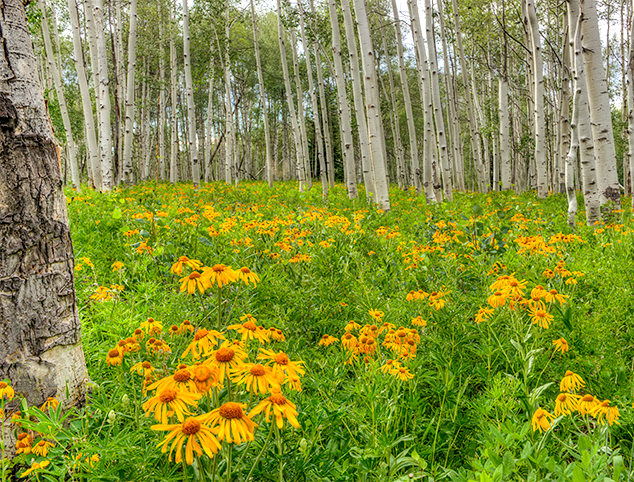 The wildflowers were a little wet but still colorful in this aspen grove. 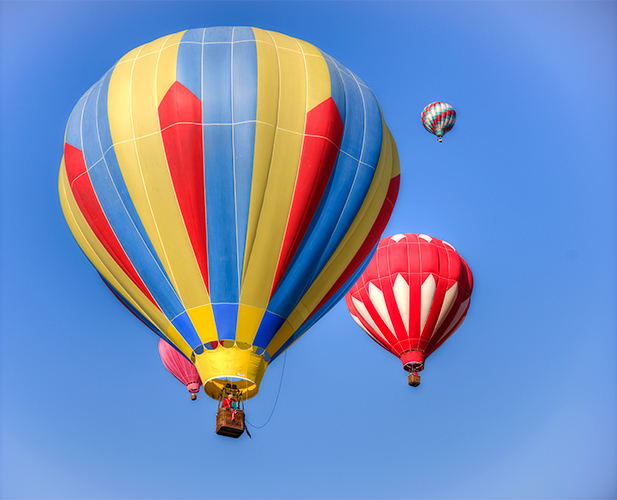 The Gunnison Hot Air Balloon Festival was a 3 day event and most entertaining to watch. The crowds appreciated the show. 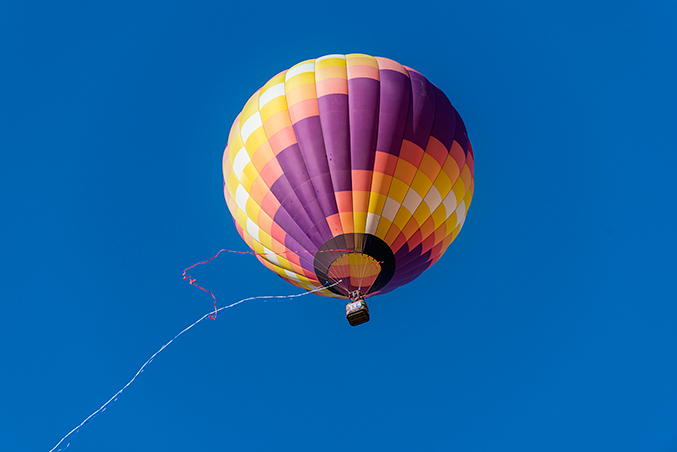 This colorful balloon was dropping the streamers into the crowd. The kids loved to chase them. Always a challenge to get more than one into a shot. While we enjoyed our time in the Black Hills, we were distracted by hunting for a summer home. No luck this time but we will keep our eyes open. I thoroughly enjoyed car pooling to Evan’s Plunge with a great group of local ladies. The swimming and the company were the best. The hot springs stays a constant 87 degrees and is out of this world. 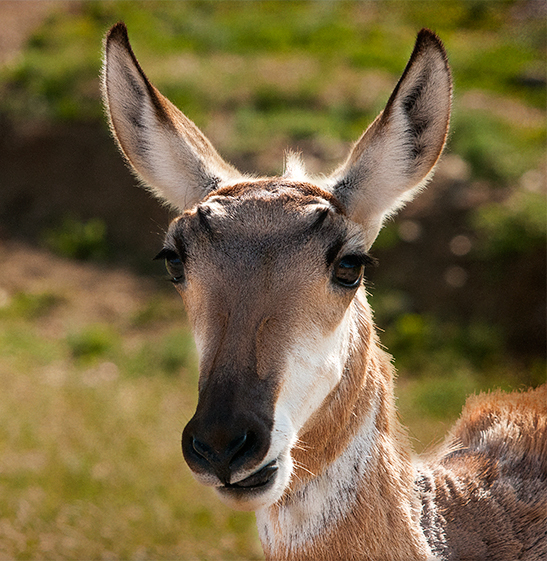 With all this fun, I did not take my usual portfolio of images but here are a few. 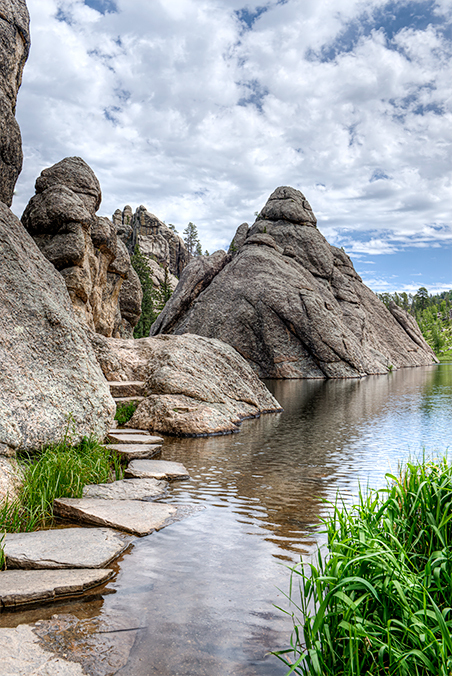 Sylvan Lake is one of my favorites with it’s granite monoliths. Located in Custer State Park it is located at the start of Needles Highway. 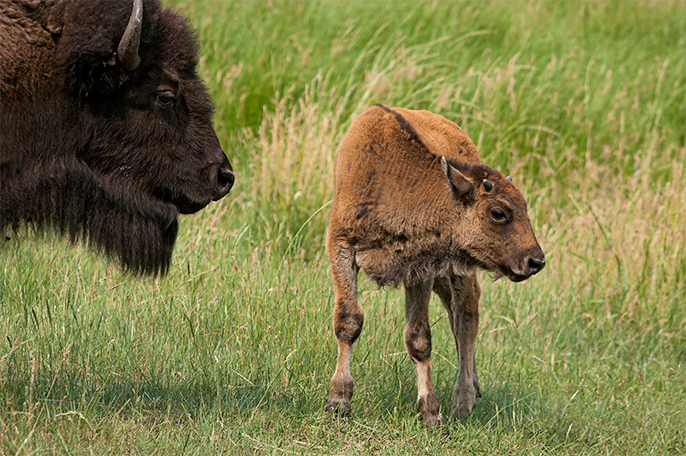 The buffalo calves are growing fast but always close to mom. 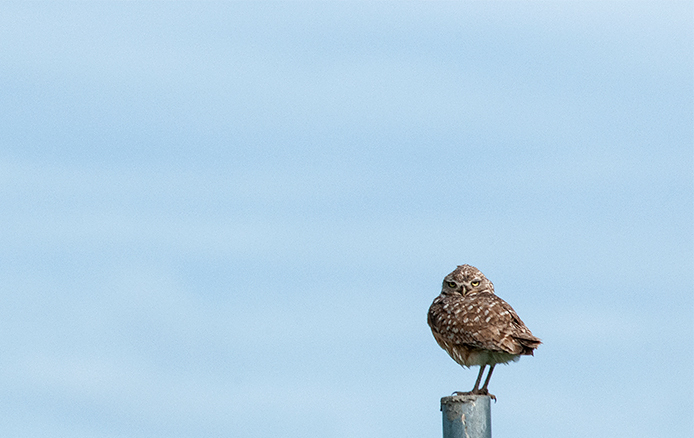 Spotted a burrowing owl along the fence line in Wind Cave National Park. 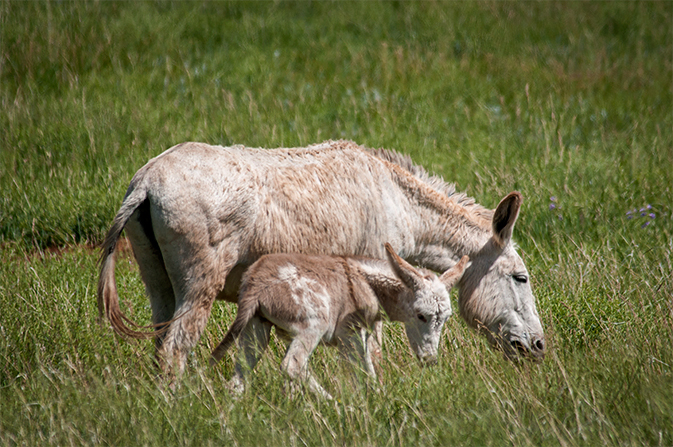 A burrow and calf enjoying the prairie grasses.